A craft gin boom in England drove an increase in spirit crafters, making England beat Scotland in the number of distilleries count. 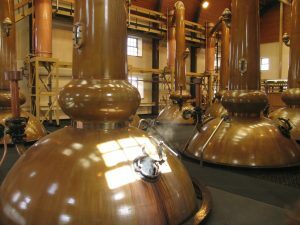 Scotland has always had the lead when it comes to distilleries because of their booming whisky industry, but now with England’s rise in gin, Scotland has some major competition. In the past year the UK recorded a total of 361 distilleries – of which 166 are in England compared to 160 distilleries based in Scotland. Most of the UK’s entrepreneurial craft spirit makers who have launched recently started by making and selling gin and many of them are now beginning to include other types of spirits.